Cain x-base is constructed of a black tubular steel post and solid steel legs with a textured powder coat finish. 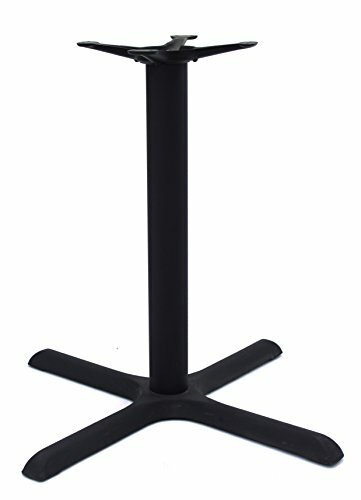 Table feet feature hidden adjustable glides and support 30" square and round table tops. If you have any questions about this product by Regency Seating, contact us by completing and submitting the form below. If you are looking for a specif part number, please include it with your message.